In one of about 30 cots tightly positioned in two rows in the Zimba Mission Hospital women’s ward, a young woman lay suffering from HIV. The older woman did not cry as one would expect a mother to do upon hearing this news. She seemed sad, but not surprised. She had been through this before; this was her fifth child to die of HIV. Each time, the woman inherited the deceased’s children. She was now caring for 25 or 26 grandchildren on her own and wondered how she would feed them all. Today Ruby, an OB-GYN, and her husband, Dr. Bo Cheves (MCG, ’85), a general surgeon, recall that day on the women’s ward as the impetus that would change not only their lives, but also the lives of at least 60 Zambian children. In addition to their daily medical tasks, the Cheves helped with hospital improvements. Along with Rotary International, they built the hospital’s two 10,000-liter water tanks and dug a well to fill them. They helped install toilets, showers, and sinks and built a laundry facility with a nonelectric washing machine so that hospital linens no longer needed to be washed by hand. They taught local health care workers to make IV fluids using distilled water and a 50-pound bag of medical salt. They also addressed the Zambian people’s spiritual needs. Every Sunday, they attended church. Every Thursday after work, the Cheves loaded their vehicle with a generator, a projector, and a copy of the “JESUS” film and headed to one of the many soccer fields nearby. With a sheet tied to the soccer goal as their screen, they showed the 1979 movie dubbed in one of Zambia’s 72 native languages to share the life of Jesus with the locals. “It was the highlight of our week,” Bo said. After two years living and working in the poverty-stricken country, Bo and Ruby thought their mission was complete. They made plans to return home to their Greensboro, Georgia, practices in June 2000. But two or three months before moving home, Ruby met the woman raising dozens of grandchildren, and a new mission was sparked. A medical clinic in a Baptist church in the Zambian bush. Submitted photo. That evening, Ruby shared her story with Bo, and the couple started thinking and praying about the bigger issue. They knew that this woman’s situation was not an isolated occurrence in Zambia, a country where infectious diseases, especially HIV/AIDS, malaria, and tuberculosis, are rampant. Life expectancy at birth is less than 52 years, and countless children are orphaned. Within a week or two, the Cheves decided to start an orphanage and began planning before their June move. “There’s never anything easy in a third world country,” Ruby said of establishing Global Samaritans, their nondenominational organization and children’s home. They faced many hurdles, including finding and obtaining land, hiring locals to run the orphanage and its school, raising money to fund it, and gaining the trust of the Zambian government while getting them on board with the organization’s vision. That vision is threefold: to raise productive, Christian children to be the future of Zambia, to assist local churches and pastors, and to give Americans a service opportunity through mission trips. “That first night 15 years ago when we talked about it, I think God gave us those three purposes, and they haven’t changed at all,” said Bo. Throughout 2001, the Cheves and teams of volunteers began to build the orphanage on land in Senkobo, Zambia, about 15 miles from Victoria Falls, the world’s largest waterfall and one of the seven natural wonders of the world. The first buildings erected were a duplex to house the initial 16 children and a guesthouse to board the volunteers helping with construction. 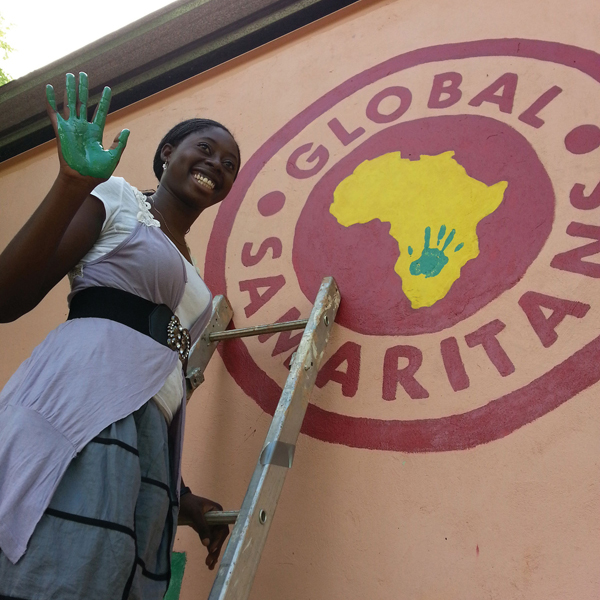 The Global Samaritans children’s home welcomed its first five girls – Nonoka, Mwape, Manasse, Olivia, and Gloria in March 2002. Since then, the orphanage has flourished, now providing a home to about 60 children, who are typically between 6 and 10 years old when they arrive. Most are brought by hospitals, churches, or the country’s child welfare department. Some children have lived such a hard life that they seek out an orphanage themselves. When they arrive at Global Samaritans, most of the children are timid and shy, many not knowing English or never having seen or used a flushing toilet. They come from nearby bush villages, where subsistence farming is all they’ve ever known. They’re also far behind in their education. Cash is scarce, so most villagers don’t have the money to pay for the required uniforms and school fees. According to Bo, children who don’t live in an orphanage frequently drop out of school after sixth or seventh grade, if they get to go at all. The Cheves are determined to improve the outcomes for these children. In addition to Global Samaritans’ wonderful teachers, the school has its own library, computers, and iPads, which all play a big part in the children becoming fluent in English by age 14 to 16. Their kids consistently rank at the top on the required nationwide exam given after seventh grade. Bo proudly recalled two great success stories: Gloria, one of the first girls in the orphanage, and her younger brother, Lot, who each scored the highest in the country when they took their tests. They’ve since graduated, and both are in school studying medicine. 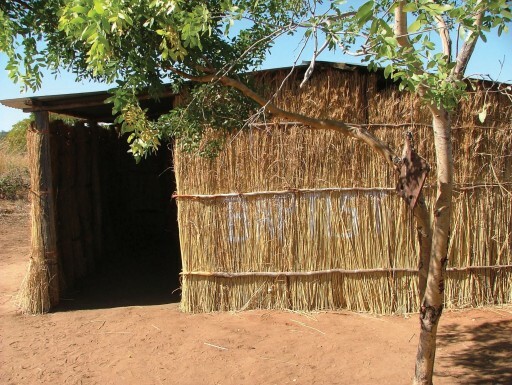 If not given the opportunity to live and thrive at Global Samaritans, these same children may have continued living in a grass-roofed mud hut in a bush village, farming to feed their families, and continuing the cycle of poverty. Thankfully, they now have options. While the Cheves have kept their roots in Georgia since leaving Zambia in 2000, they oversee Global Samaritans from home and are in regular contact with the orphanage. “We feel fortunate to have good people over there running it,” said Ruby, who now practices in Athens, Georgia, and teaches third-year medical students at MCG. The couple also goes back for several weeks a year to check on “their kids” and take mission teams from around the U.S. to drill wells, run vacation Bible schools or pastor conferences, and provide medical care. “We could never do what we do without the money and time people give to sponsor the children or get on a plane and go over there,” Bo said. He and Ruby are proud of the impact Global Samaritans has made but insist it’s a team effort. • Bo graduated from GRU Medical College of Georgia in 1985 and is a general surgeon with Georgia Regents Medical Associates Lake Oconee Village in Greensboro. Ruby graduated from Louisiana State University Health Sciences Center at Shreveport in 1985 and is an OB-GYN for Athens Regional Medical Center. She also teaches third-year medical students at the GRU/UGA Medical Partnership. • Bo is a fourth-generation alumnus. He follows in the footsteps of great-grandfather Dr. G.W. Churchill (1909; then the Medical Department of the University of Georgia), grandfather Dr. Harry Langdon Cheves (’24, the Medical Department of the University of Georgia), and father Dr. Harry Langdon Cheves Jr. (MCG, ’53). Bo’s given name is Harry Langdon Cheves III. • Bo and Ruby met during their residencies at Greenville Hospital System in South Carolina. The couple worked together for 18 years before Ruby began working in Athens. They have two children, Rebecca and Alex. • In 2012, Ruby was named the National Mother of the Year by American Mothers Inc., a nonprofit group promoting motherhood through educational programs, due to her work with Global Samaritans, career as an OB-GYN, and being a mother of two. • In their spare time, the Cheves work on their home in Union Point, Georgia, named The Corry House at Ogeechee Plantation, which was built in the 1860s and is a popular destination for plantation weddings. For more information on Global Samaritans, visit globalsamaritans.org or call Bo Cheves at 706-338-4222.